In recent years I published a few papers in social and political philosophy and also co-edited some collections. In 2015 a research monograph on social justice and child poverty, which I have written together with Gunter Graf was published by Palgrave Macmillan. We received funding from the Austrian Science Fund (FWF) to publish this book open access, so you can download it for free! Gunter and I have recently finished a second monograph with the working title "Ethics and the Endangerement of Children's Bodies", which will also be published by Palgrave, hopefully by the end of 2016. Currently I am working on a paper on the refugee crisis and children's rights, on a paper on market socialism, and on a paper that explores girls' rights to bodily integrity. One paper on epistemic injustice has recently been accepted for publication in a Special Issue in Wagadu. 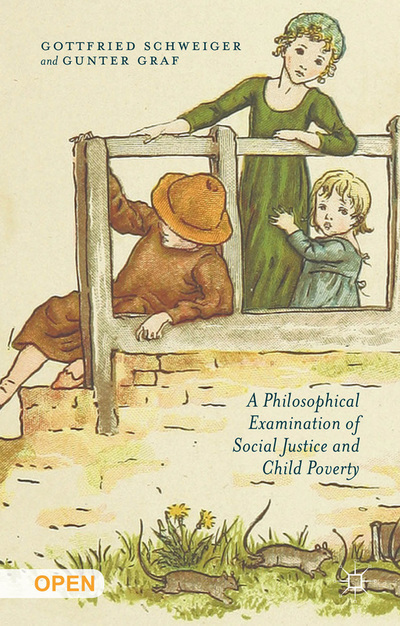 ​I am one of the co-founding editors of the Springer Book Series Philosophy and Poverty, which launches in 2017. This is the first fully peer-reviewed Book Series focusing exclusibely on the whole range of philosophical work on poverty, inequality and social exclusion. I am one of the co-founding editors of the peer-reviewed journal Zeitschrift für Praktische Philosophie, one of the first fully open access journals in practical philosophy in the German-speaking world. Since November 2015, I am also an Associate Editor of Palgrave Communications, Palgrave Macmillan's open access journal for the social sciences and humanities. The Sustainable Development Goals: Pitfalls and Challenges Where We Now Need to Start Making Progress, in: Ethical Issues in Poverty Alleviation, Springer: Dordrect/New York, NY 2016, 133-148 (co-edited by Helmut P. Gaisbauer, Gottfried Schweiger & Clemens Sedmak). Verletzbarkeit und Autonomie im Lebenslauf. Zur Besonderheit der Kinderarmut aus philosophischer Perspektive [Vulnerability and Autonomy Over the Life- Course], in: Zeitschrift für kritische Sozialtheorie und Philosophie 2(2) 2015, 401-419. Recognition Theory and Global Poverty, in: Journal of Global Ethics 10 (3) (2014), 276-273. (open access) Humiliation and Justice for Children Living in Poverty, in: Azafea: Revista de Filosofía 16 (2014), 57-72. 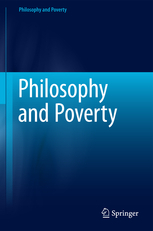 The Subjective Experience of Poverty, in: sats - Northern European Journal for Philosophy 15 (2), 148–167 (with Gunter Graf). (open access) Health, Justice, and Happiness during Childhood, in: South African Journal for Philosophy 33 (4) (2014) 501-511 (with Mar Cabezas und Gunter Graf). Social Justice and Professional Sports, in: International Journal of Applied Philosophy 28 (2) 2014, 373 – 389. (open access) Unemployment, recognition and meritocracy, in Las Torres De Lucca 4 (January - June) (2014), 37-61. (open access) What does a professional athlete deserve?, in Prolegomena 31 (1) (2014), 5-20. Poverty and Freedom, in: Human Affairs 24 (2) (2014), 258-268 (with Gunter Graf). Poverty and Critique in the modern Working Society, in: Critique 41 (4) (2014). Recognition and Social Exclusion: A Recognition-Theoretical Exploration of Poverty in Europe, in: Ethical Perspectives 20 (4) (2013), 529-55. Capabilities, Recognition and the Philosophical Evaluation of Poverty: A Discussion of Issues of Justification and the Role of subjective Experiences, in: International Critical Thought 3 (3) (2013), 282-296 (with Gunter Graf). Relative und absolute Kritik der Armut [Relative and absolute Critique of Poverty], in: Zeitschrift für philosophische Forschung 67 (2) (2013), 263-286. Ethical obligations of wealthy people: Progressive taxation and the financial crisis, in: Ethics and Social Welfare 7 (2) (2013),141-154 (with Helmut P. Gaisbauer & Clemens Sedmak). (open access) Achieving income justice in professional sports: limitation, taxation or donation, in: Physical Culture and Sport 56 (1) (2012), 12-22. (open access) Philosophie und Armut. Überlegungen zu ihrem Zusammenhang [Philosophy and Poverty. Reflections on their Relationship], in: dis|kurs 8 (1) (2012), 64-85. Relative Armut und soziale Wertschätzung [Relative Poverty and social Esteem], in: Northern European Journal for Philosophy 13 (1) (2012), 39-59. 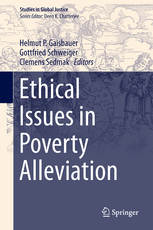 Ethical Issues in Poverty Alleviation, Springer: Dordrect/New York, NY 2016 (co-edited with Helmut P. Gaisbauer & Clemens Sedmak). (open access) Health Justice and Children, Special Issue in Dilemata. Revista Internacional de Éticas Aplicadas 21 2016 (co-edited with Mar Cabezas). Justice and Disadvantage during Childhood. What has the Capabilities Approach to Offer?, Special Issue in Ethical Perspectives 23 (1) 2016 (co-edited with Mar Cabezas & Gunter Graf). 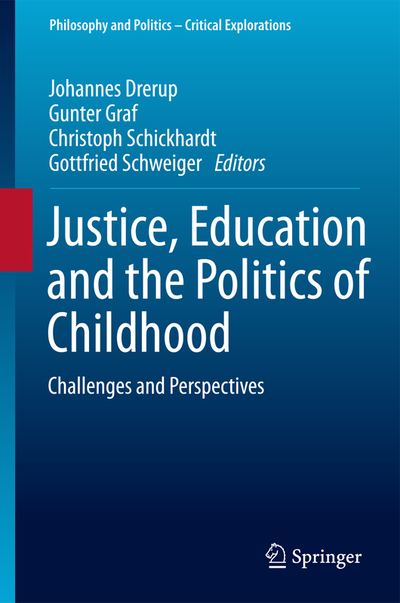 Justice, Education and the Politics of Childhood, Springer: Dordrecht/New York, NY 2016 (253 pp) (co-edited with Johannes Drerup, Gunter Graf & Christoph Schickhardt). 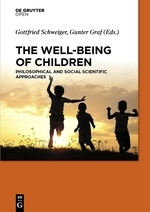 (open access) The Well-Being of Children. Philosophical and Social Scientific Approaches, De Gruyter Open: Berlin 2015 (176 pp) (co-edited with Gunter Graf). (open access) Kindheit und Gerechtigkeit [Childhood and Justice], Special Issue in Zeitschrift für Praktische Philosophie 2 (2015) (co-edited with Gunter Graf). 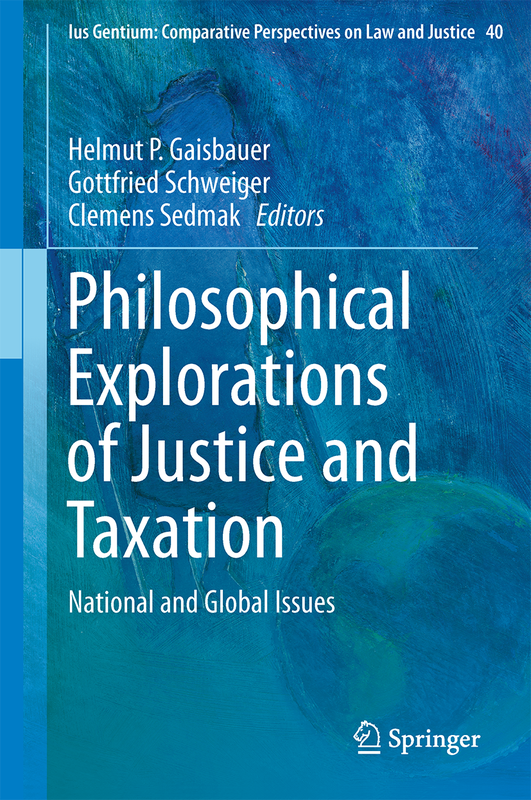 Philosophical Explorations of Justice and Taxation: National and Global Issues, Springer: Dordrecht/New York, NY 2015 (238 pp) (co-edited with Helmut P. Gaisbauer & Clemens Sedmak).